This database is part of an IowaWatch investigation by Katelynn McCollough into Iowa’s levee system. 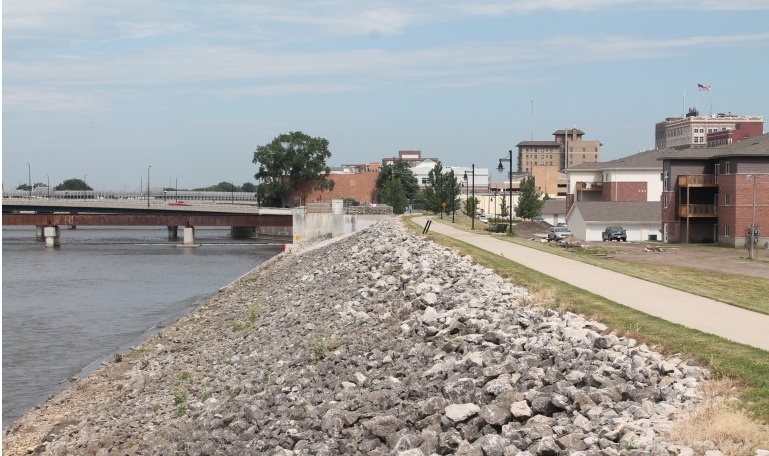 Broad federal requirements are allowing many levees to fall through the cracks in maintenance and leave the reliability of others unknown, according to an IowaWatch investigation. Although federal officials say most levees probably will survive the next flood, inspection reports over the past four years found a substantial number in “unacceptable” condition, prompting the U.S. Army Corps of Engineers to relegate them to “inactive status” and kick them out of its inspection program. That means they may be at a higher risk of failing during a flood because they don’t meet federal standards. Most landed in a catch-all category called “minimally acceptable” that fails to provide a clear picture of the levee’s reliability. The category is so broad it includes minor deficiencies and serious ones, such as animals burrowing large holes in levee walls and embankment instability. Click on the icons in the map to check on a levee’s rating. If a report is available, click on the link to read the full engineer’s report on the levee. Note: Locations are approximate.